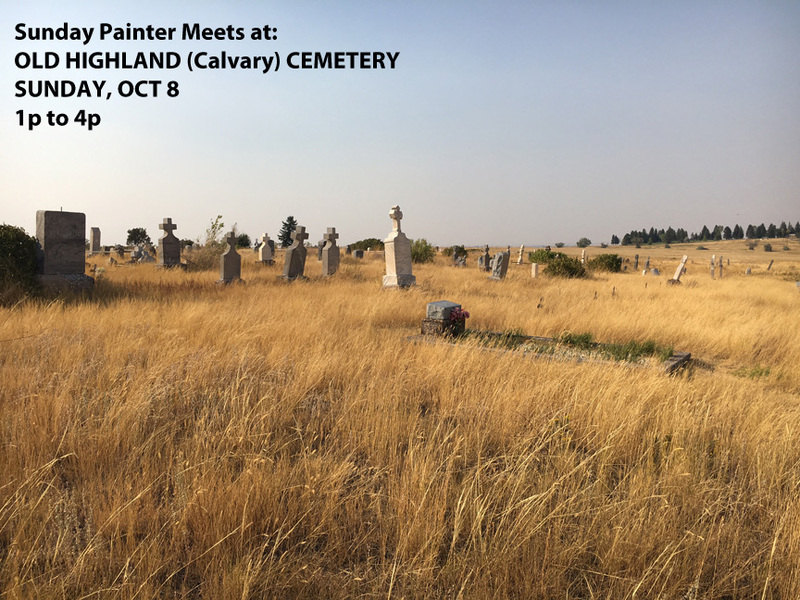 Get ready to draw and paint scenic views of OLD Highland (Calvary) Cemetery in Great Falls, MT! 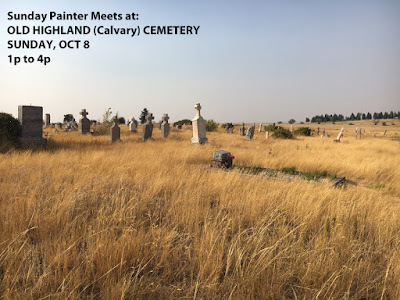 Sunday Painter will meet at the Old Highland Cemetery, which is south of the present day, Highland Cemetery. There may be a funeral or people visiting loved ones. Please be respectful and keep your distance from any mourners or events taking place. 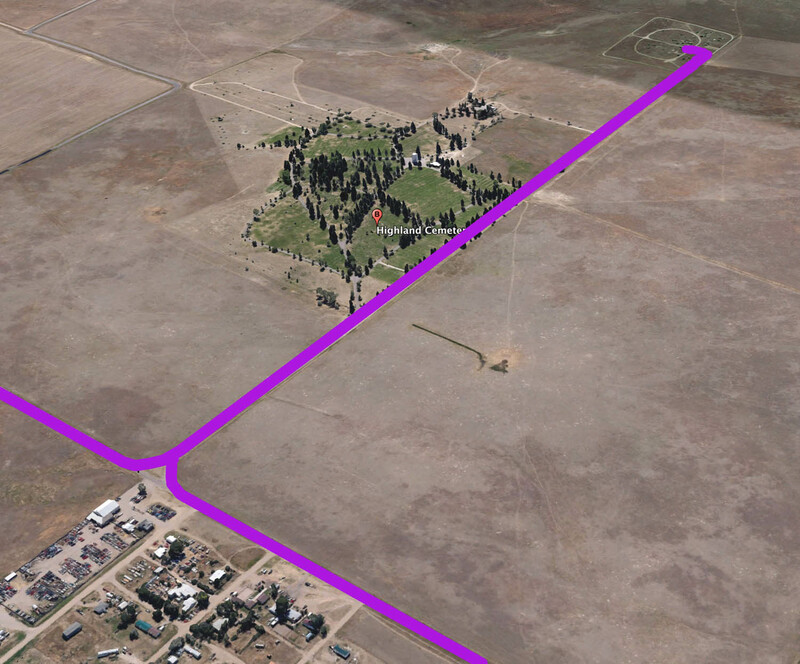 Highland Cemetery is located at: 2010 33rd Ave S, Great Falls, MT. However, you will be driving straight past entrance gate AND driving south down the gravel cemetery road (as shown below). 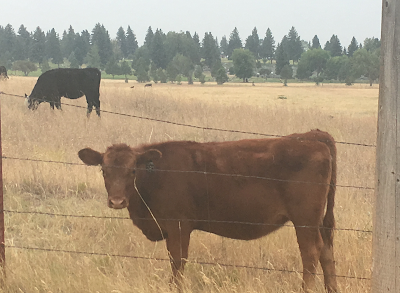 At the fork, stay to the right & PASS the entrance of cemetery to reach Old Highland (Calvary) Cemetery. 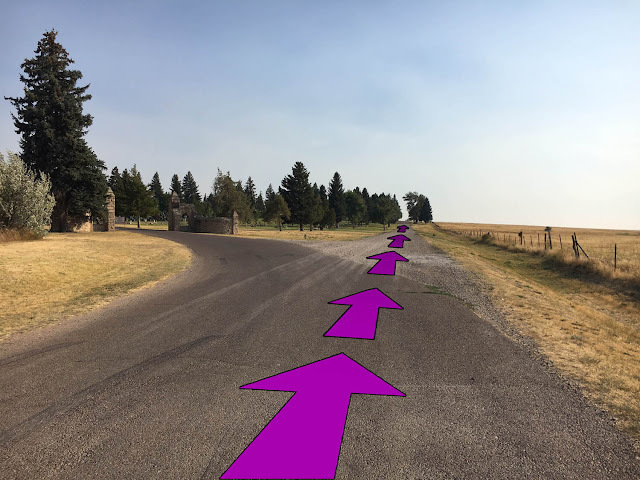 As you turn off of 33rd Ave South, you will continue south to reach the paint out. Also scenic, are the local cattle grazing just around the cemetery fence lines.